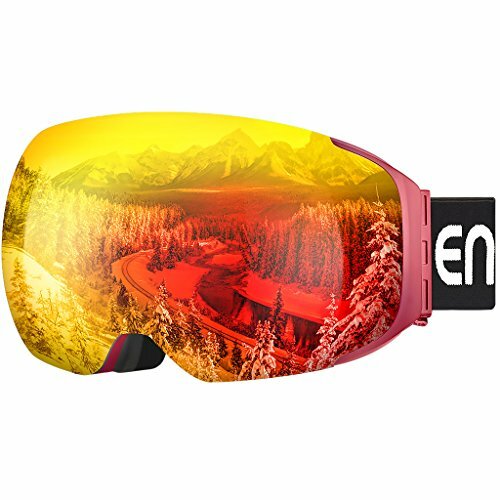 The double layers of spherical lenses make sure you'll have a clear and wide vision, and the full REVO coating prevents your lenses away from any unwanted scratches or damages and also provides you with an excellent view without any reflections. 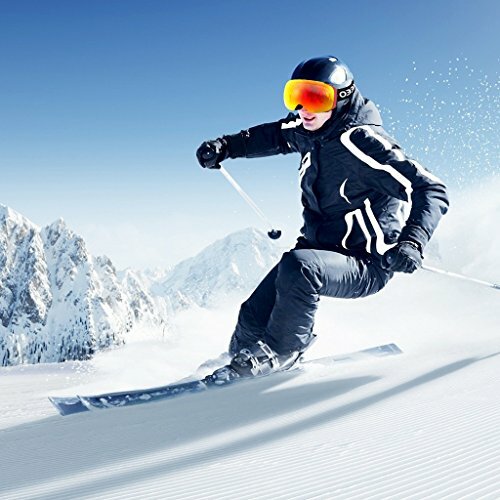 It's perfect for activities in very bright conditions such as skiing on a sunny day. 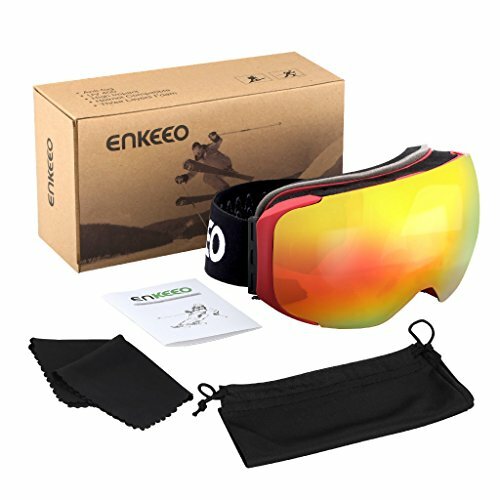 Thanks to Enkeeo's specially made magnets, not matter where you are, changing or cleaning your ski goggles' lenses is super easy to achieve without removing them. 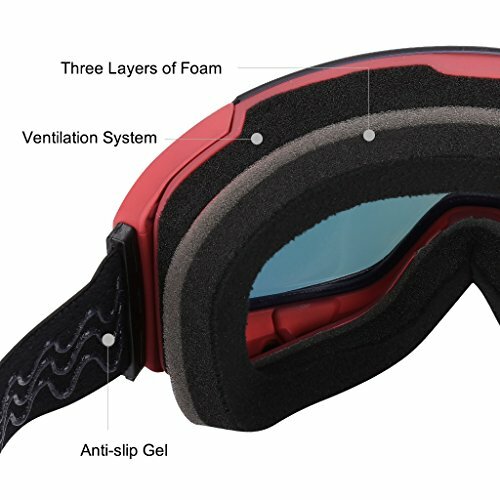 Equipped with 3 layers of soft foam, this pair of goggles is anti-fog and especially great to withstand winds in those cold days. 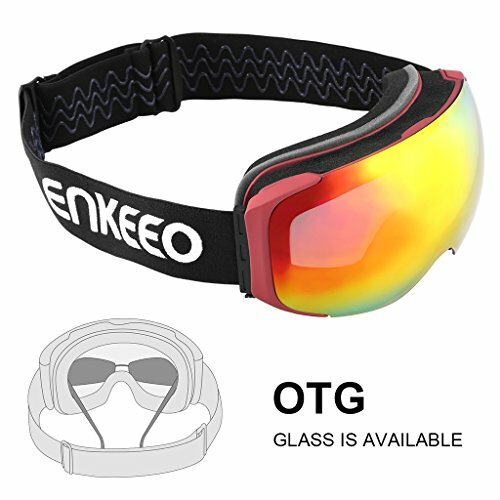 Enkeeo snow goggles come with an adjustable strap and the non-slip rubber, which keeps this goggle in place while you're skiing and more. 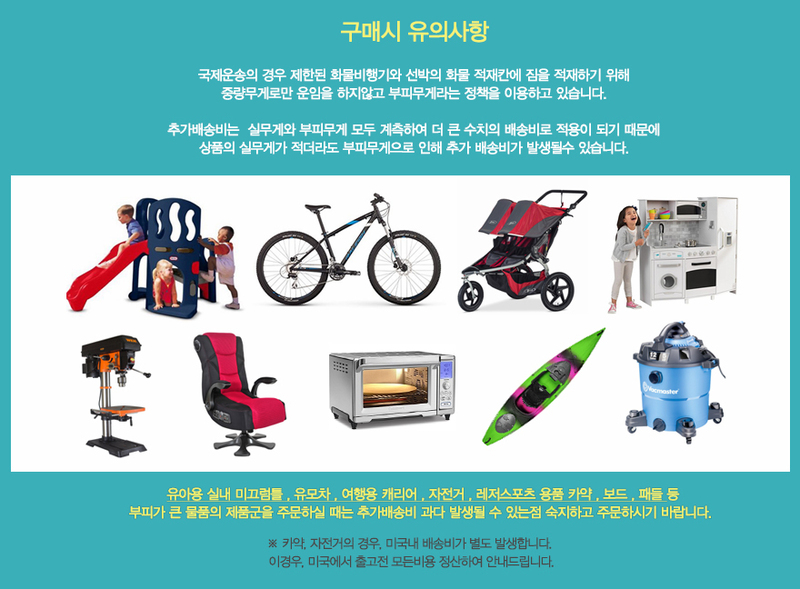 It allows a safe and comfortable fit with different helmet shapes and sizes. 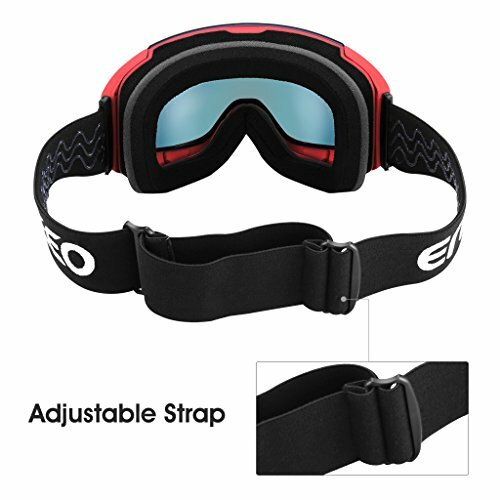 The bendable frame is well constructed against unwanted broken for long lasting usage. 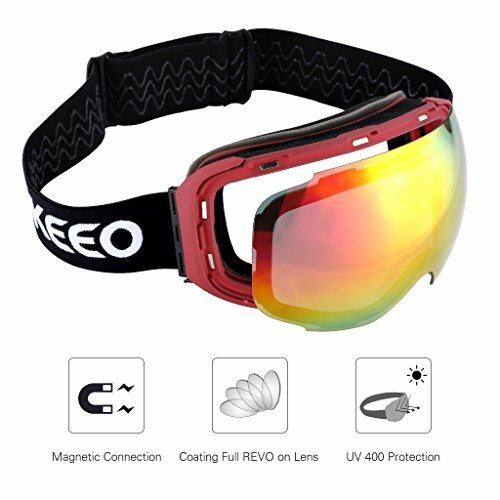 These goggles stand out in the winter outdoor gears for snowboarding and more.